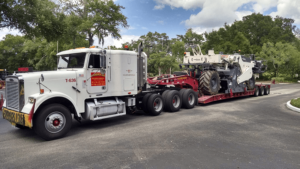 Learn more about Yarbrough Transfer Company … We move heavy equipment, machinery, and other materials ranging from the small to the very large. Utilizing a well maintained fleet and experienced drivers and staff, we will handle your move from start to finish with the professionalism and service for which we are known industry-wide. We have a fleet of over 50 tractors and 80 trailers designed specifically to meet a variety of transportation needs, ranging from legal flatbed loads to 13 axle loads grossing over 200,000 pounds. When you call our operations department, we respond promptly with an up front and honest assessment of the costs, and we will tell you if we spot any problems with your move from the inception. When it is time to move your load, we arrive on time and ready to get the job done. Our drivers undergo regular training in equipment operations and load securement. All our drivers are certified under the Smith System® defensive driving course, so your load is going to arrive at its destination quickly and safely. 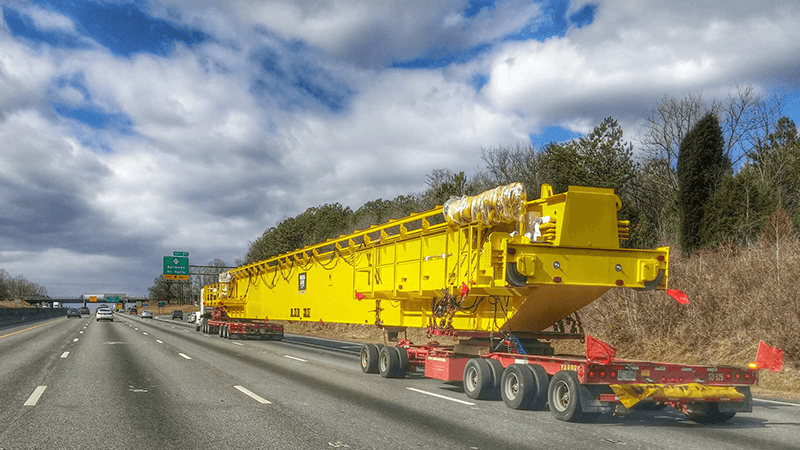 With terminals in Winston-Salem, Charlotte, and Wilmington, North Carolina, we are strategically located to quickly provide heavy haul, freight transfer and specialized transportation services throughout the South, Midwest and Eastern United States. Service is more than just a word to us; it’s our philosophy. Contact Yarbrough Transfer at (336) 725-7552 or toll-free at (800) 334-0160 and learn how to put our heavy hauling and specialized transportation service capabilities to work for you.